DIRECT FROM LOURDES - Divine Mercy Key Ring & Prayer Card Set. 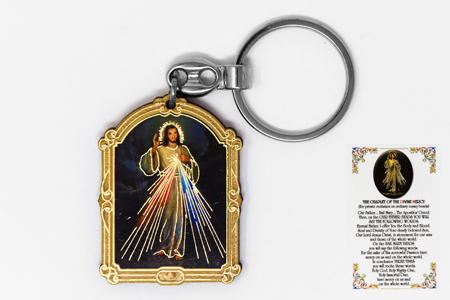 Divine Mercy Key Ring & Prayer Card Set. Key ring: 3 1/2" x 1 4/4"